The CW has announced a premiere date for the Black Lightning TV series! Below, you can find a press release announcing that the show will premiere on January 16, 2018. 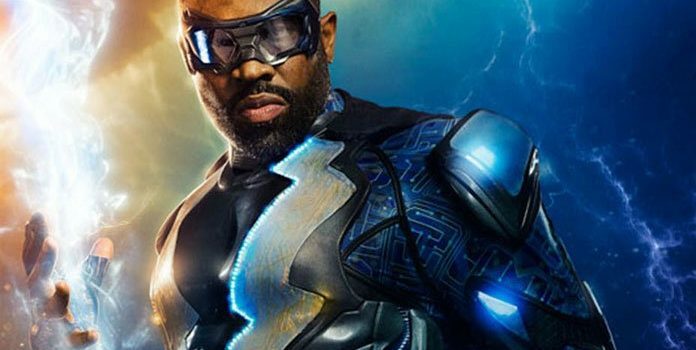 The CW Network’s electrifying new superhero BLACK LIGHTNING will make his debut on Tuesday, January 16 (9:00-10:00pm ET/PT), following a new episode of THE FLASH (8:00-9:00pm ET/PT). As The CW’s current series return from the holiday hiatus, VALOR is back with original episodes on Monday, January 1 (9:00-10:00pm ET/PT). CRAZY EX-GIRLFRIEND returns with new episodes on Friday, January 5 (8:00-9:00pm ET/PT). SUPERGIRL is brand new starting Monday, January 15. RIVERDALE and DYNASTY are back with original episodes Wednesday, January 17. SUPERNATURAL and ARROW will make their January premieres Thursday, January 18. JANE THE VIRGIN comes back with new episodes Friday, January 26 (9:00-10:00pm ET/PT). In season finale news, VALOR wraps its first season on Monday, January 29 (9:00-10:00pm ET/PT). The third season of CRAZY EX-GIRLFRIEND concludes on Friday, February 16 (8:00-9:00pm ET/PT).